Litochoro is a small modern town with a population of 7.259 people, located in the foothills of Mount Olympus, just five km from the sea. It’s climate combines the cool of the mountain air with the sea breeze, and visitors can explore the old lanes with their traditional houses with Macedonian architecture, see the old wooden courtyard doors and the gabled roofs, and the work of Litochoro’s wood turners and stonemasons. Local folk traditions are kept alive through celebrations such as Sichna, the feast of the Epiphany (January 6) and the burning of the prickly juniper wood during the carnival. Litochoro is an ideal base for exploring the wider Olympus area due to its easy access and excellent tourist facilities. Dion has a population of 1554 inhabitants and is an important point of interest for Greek and foreign tourists alike. Each year thousands of tourists visit the archaeological site and the Archaeological Museum to admire the findings from the holy city of the Macedonians. In the summer the Ancient Theatre is brought to life with performances and concerts of the Olympus Festival. This is a small village of 37 people, built on the north-west foothills of Mount Olympus, with a wonderful view over Pieria Plain. The village was originally called Lokovi. It is situated close to the historical location of Petra, which in ancient times was on the main route from Pieria to the rest of Greece. Due to the altitude and location of the village (580 m), it is a good starting point for walks to and from the Xerolakki Stream, and is a great spot to enjoy fine food at the end of a hike. 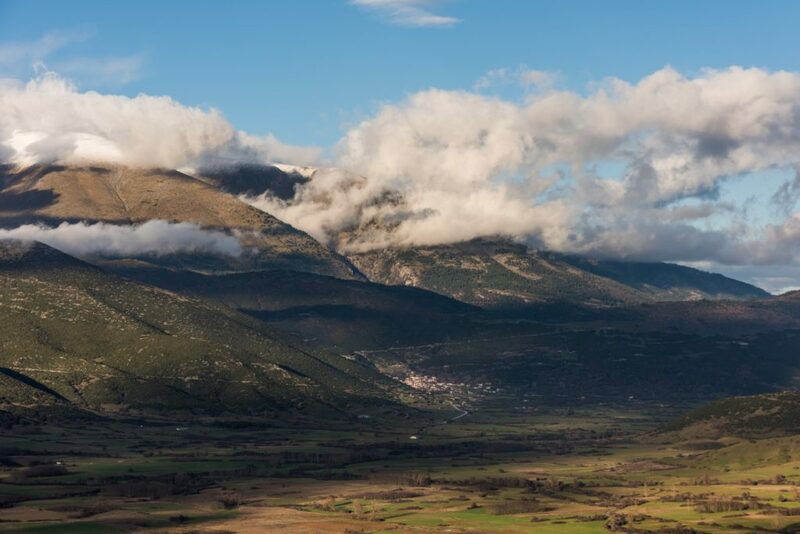 Karya has a population of 542 people and is located in foothills on the south side of Mount Olympus. Despite being a small village, it has a rich tradition, both mythological and folk. In ancient times town of Leivithra was located close to Karya. Tradition has it that this was the birthplace of Orpheus. Eight km from Karya is Klimadon Monastery (which today is known as Naidrion of Agia Triada), which played an important role during the Turkish occupation. The contribution of Kanalon Monastery was also significant during the same period – this is a monastery of the 9th century located seven km along the Karya – Leptokarya road. The visitor can also go to Xerolaka which is an organised recreation area with hiking paths close to Ziliana River, Samara spring or Spilaio tou Moria (Moria Cave) in Bechtesi, which was used as a refuge by guerrillas. Located at an altitude of 1,250 m, this is a small village with approximately125 inhabitants and dates back to the 12th Century. In 1442 it was occupied by the Turks. During WWII the German occupiers set fire to the village. Some of the sites worth exploring from Kokkinopilos include the Stalagmatia spring, Kroutseli and Tsiamara. Additionally, many paths and routes to Mount Olympus start from here. 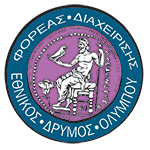 Archaeological evidence dates Palaios Panteleimonas to the end of the 14th century. 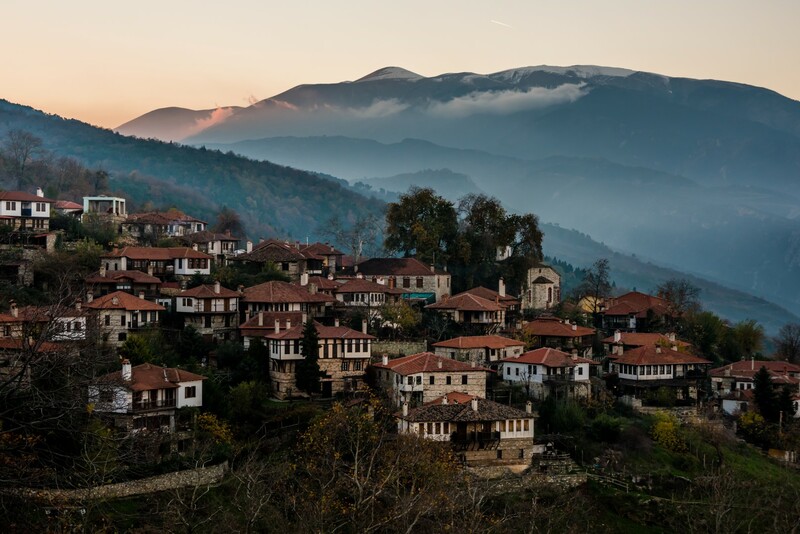 Today it is a stunning restored traditional village on the slopes of Kato Olympus. It lies at an altitude of 700 m, with an impressive view over the Thermaikos Gulf, the coast of south Pieria and the Venetian castle at Platamonas. A uniform architectural design has been maintained throughout the village as can be seen, and which adds to its distinctive character. Old Agios Panteleimonas church stands in the central square of the village, with its age-old plane trees and the old school, along with a good number of traditional taverns. The approach to the village and the surrounding area is marked by a rich forest of chestnut, beech and strawberry trees, as well as the rich flora and fauna of Kato Olympus. It is an ideal area for nature walking, parachuting, paragliding, and mountain biking. There are many traditional guesthouses in the village, and local taverns serving the local dishes, including spicy mezes, local wine and traditional “tsipouro” from the strawberry tree berries from Mount Olympus. Palaios Panteleimonas is located just six km from the village and beach of Neos Panteleimonas, which also has a wide variety of accommodation, taverns and restaurants, recreational facilities and tourist information. During the summer many cultural events are held at Platamonas Castle as a part of the Olympus Festival. Palaios Panteleimonas is easy to access from the National Road E75 and by National Rail (to Neoi Poroi Station). 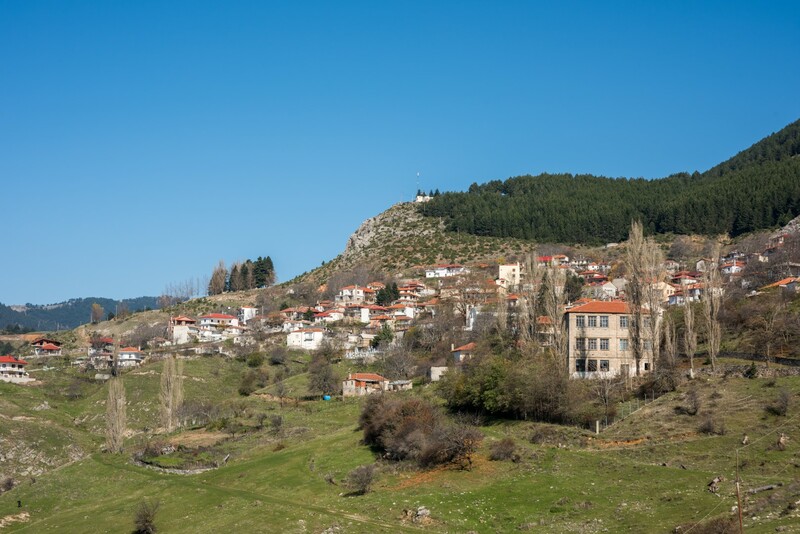 On the southeast outskirts of Olympus, at an altitude of 600 m, is Palaioi Poroi, a traditional village with stone houses from the 17th and 18th centuries and the Byzantine church of Agios Georgios in the paved central square. There is a stunning forest above the village which is a great place to walk and admire the flora and fauna of Kato Olympus. There are also two impressive churches which are well worth a visit Agioi Apostoloi Church and Zoodochos Pigi Church. Palaioi Poroi is situated 45 km from Katerini, the capital of the prefecture, and access is easy along the National road E75. This traditional village on the slopes of Kato Olympus has the impressive Agios Athanasios church dating to the 14th century, with a unique wood-carved iconostasis. In the central square of the village is the parish church of the Dormition of the Virgin (Koimiseos Theotokou), which is a three-aisled, post-Byzantine basilica with a wooden roof built in 1862 on the site of a much older church. From here there are some highly interesting hiking routes available, offering a good opportunity to admire the flora and fauna of Kato Olympus. Mountain biking are also plentiful. There are few guesthouses in the village and more hotels and rooms for rent can be found along Skotina Beach, as well as in the nearby villages of the area. Palaia Skotina is just 7 km from Skotina village, 9 km from Skotina beach and 40 km from Katerini, with excellent access along the National Road E75 (turn off at Skotina junction) and via National Rail (to Skotina station).